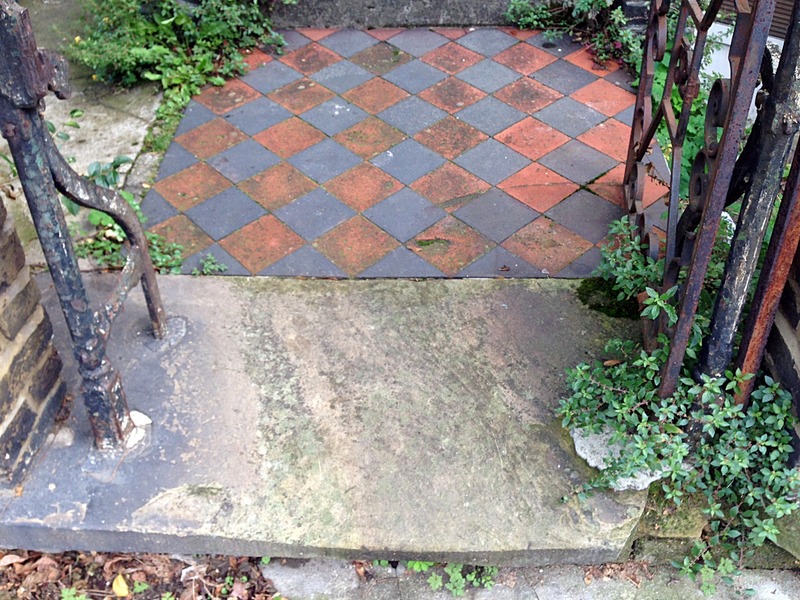 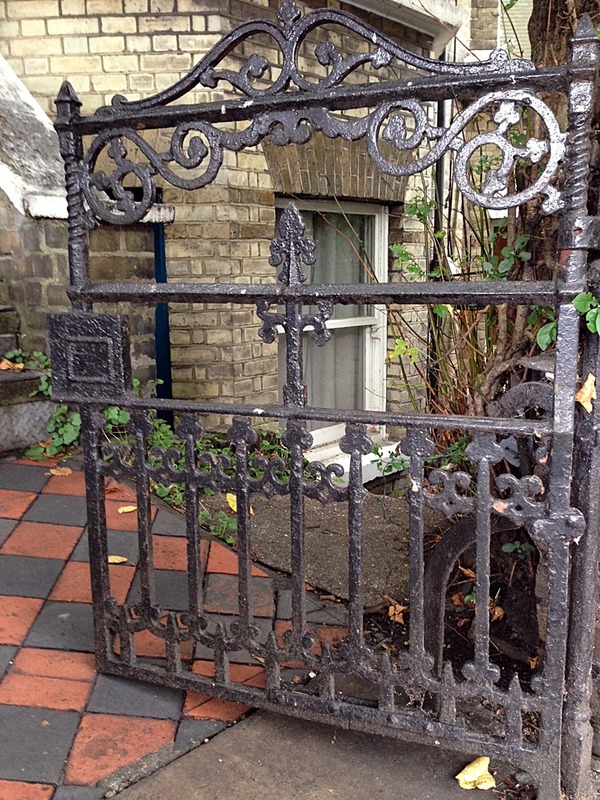 A lot of the original Victorian features in London Gardens are coming to the end of there lives, I have decided to record some of them in an archive. 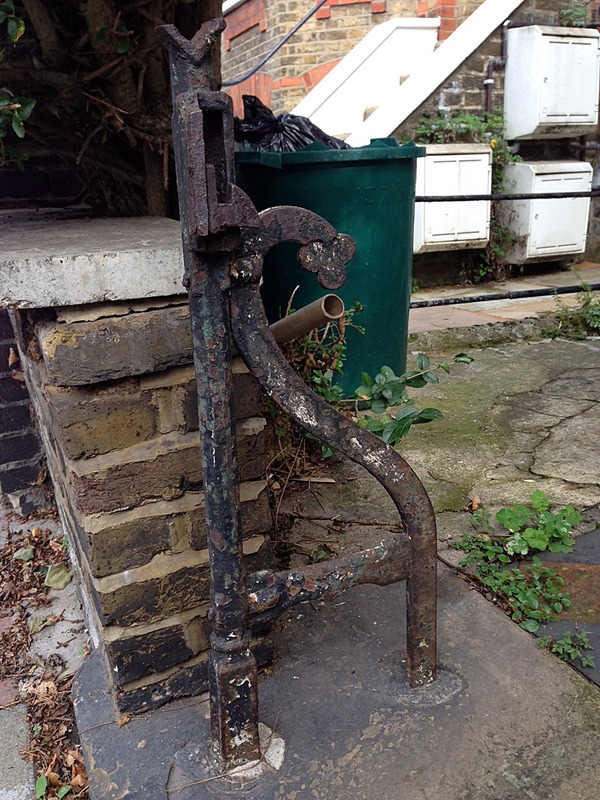 You can see in the background the original simple side return metal bar that was used to divide gardens. 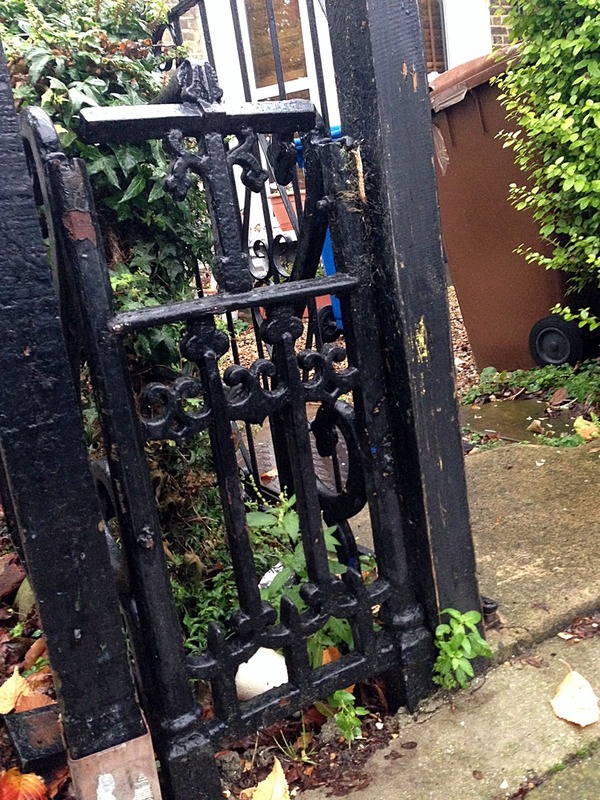 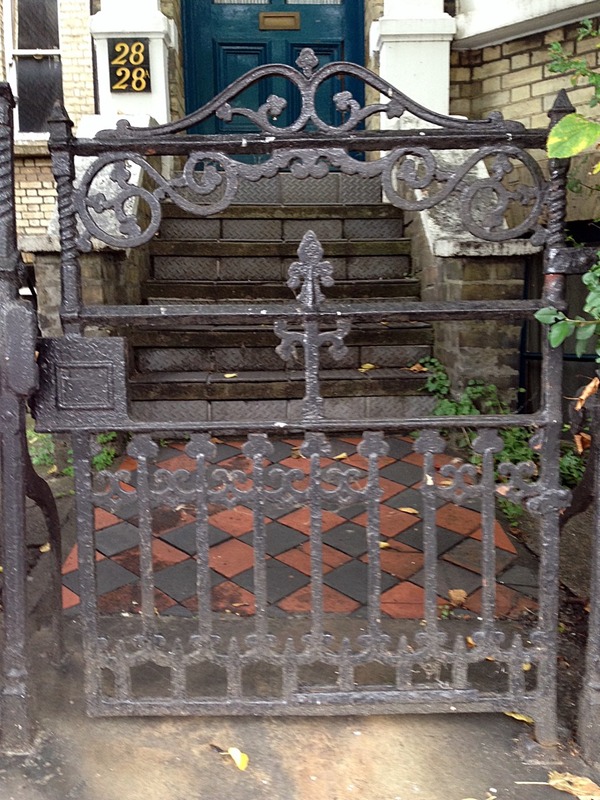 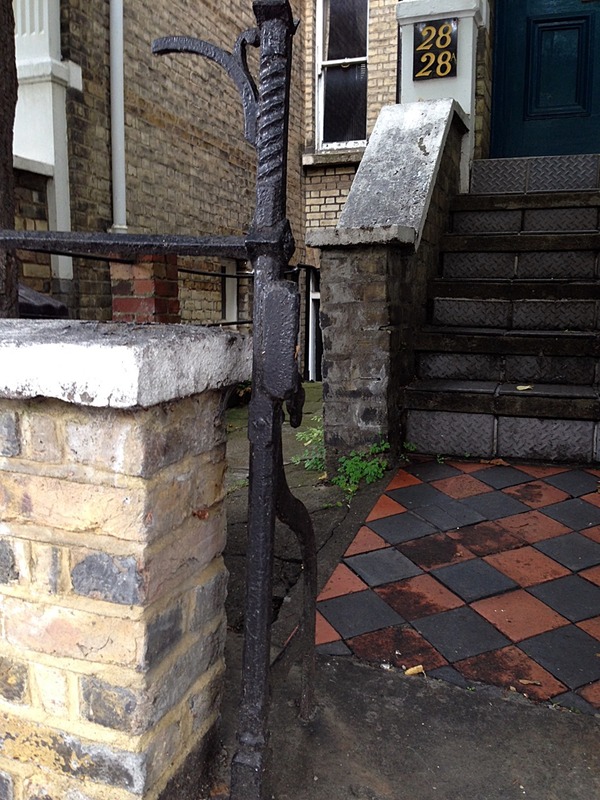 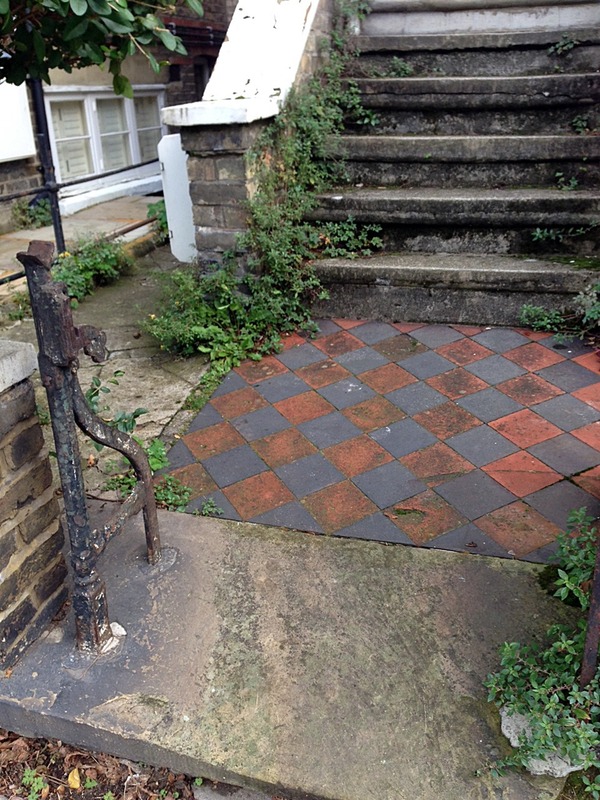 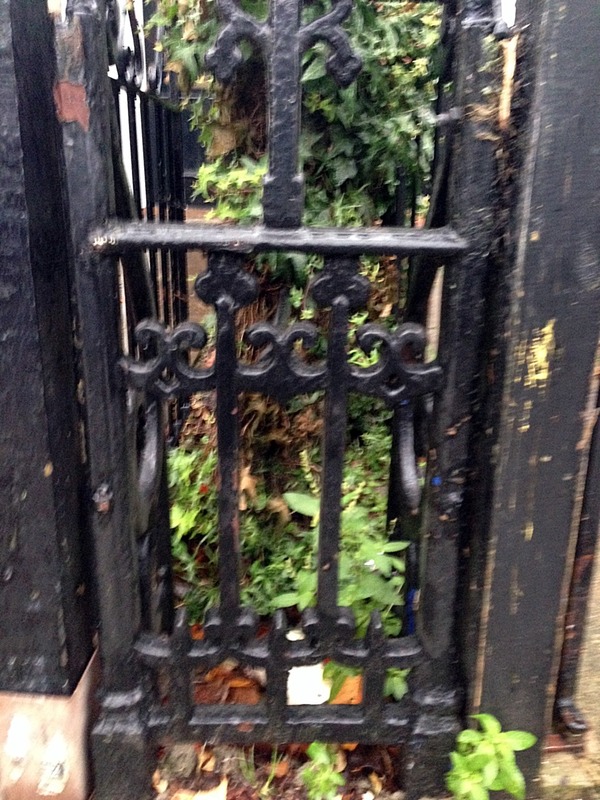 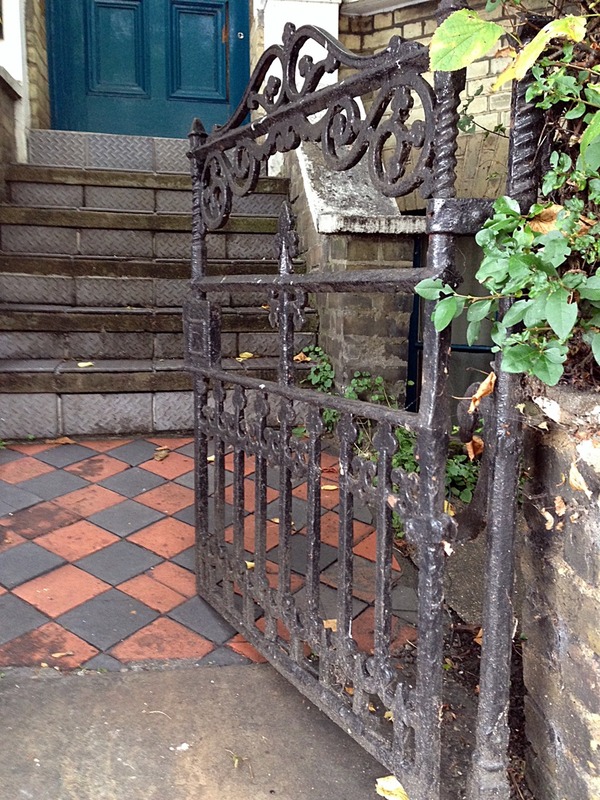 Side rail wrought iron finish panel between two houses in Crystal Palace road East Dulwich.